When you plan your next away game, scrimmage, event or tournament, think Team Sports Travel (A Division of Kahala Travel). We provide opportunities for coaches, players and fans to experience and learn about a destination. We cover all aspects of planning including transportation, practice fields, games, tours, meals and educational and team-building activities. Our staff has a proven track record in the area of academic and sports travel since 1975. In addition to 30+ years of teaching and coaching at the high school and collegiate levels, we have expertise in all areas of group travel planning. Anywhere! Whether across the country or across the globe, we can take you there! Click here to see a list of groups who have traveled with us and what destinations they have discovered. 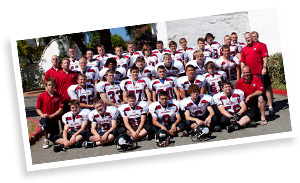 We chose Team Sports Travel to take our Varsity Football team to Hawaii in 2008. I couldn't have made a better choice. It was a trip that was memorable to all the players, coaches and parents. Team Sports Travel made it really easy on everyone involved. The transportation, accommodations and food were all taken care of and was of the highest quality. The players and coaches only had to worry about having a great time and preparing for our game. I only wish all trips could be this easy. We are planning on going again and I wouldn't trust any but Team Sports Travel to take care of us.